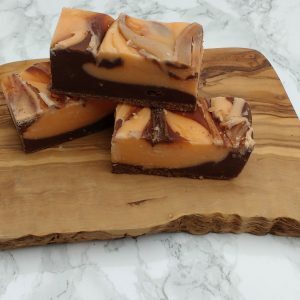 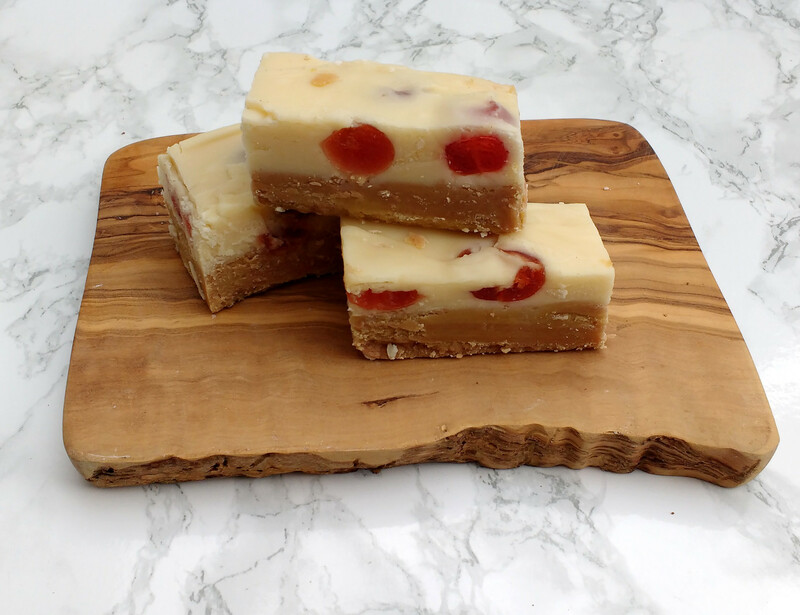 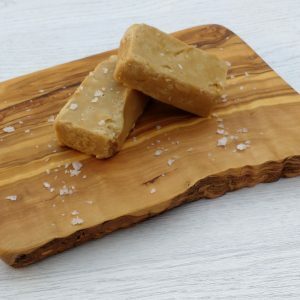 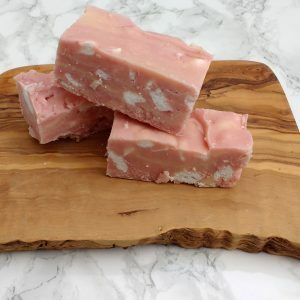 Creamy caramel fudge with a hint of raspberry and almond, topped with a vanilla fudge and generously topped with chopped cherry pieces. 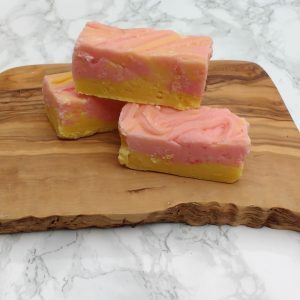 Our delicious fudge with the tasty twist of a Cherry Bakewell. 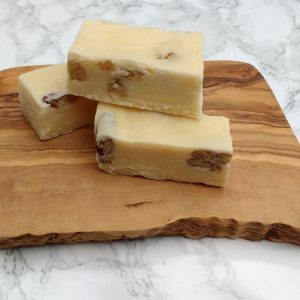 Ingredients: Brown sugar, Cream, Butter, Milk powder, Soya lecithin, Syrup, Vanilla, Raspberry, Almond flavouring, Cherries.